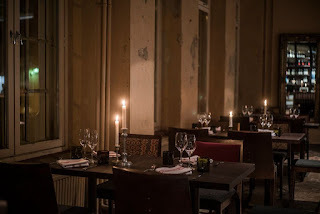 I have been thinking about to write about natural wines and restaurants in Helsinki serving natural wines, since the first time I was introduced to natural wines. Because it was totally different, another room in the tremendous world of wine. Since then, I have been studying, writing, interviewing/talking to professionals/friends and tasting (naah, sometimes drinking too) natural style wines to write this blogpost. You will now read few names of some restaurants and after that some more about natural wines and will read what the sommeliers and other professionals said about it. I sincerely thank them with all my heart, for all the help, and friendship. Chef&Sommelier: One of the best restaurants in the town absolutely, regardless of the Michelin star it has. The sommelier of C&S, Johan, had been anyway focusing on the more natural side of a wine list since they opened and he is introducing more natural wines into his wine list all the time. This is also where I was deeply introduced to natural wines by the Danish sommelier Solfinn Danielsen, when he was doing a guestplay in C&S. Baskeri&Basso (BasBas): Becoming many people's favorite in such a short time, a real bistro with a real bistro style atmosphere with a real bistro service with a real bistro style menu and food philosophy, is just, a real bistro. So far the only bistro that is a bistro, that I know. 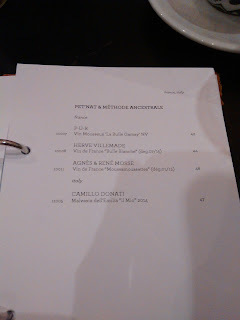 The wine list has some classics but the rest is extremely dominated by lovely natural wines, and so far by my knowledge, the first place which had "PetNat" wines as a separate title in their wine list. Correct me if I am wrong. Juuri: Again one of the best restaurants with flavor bombs in your mouth, with a great work behind everything, as I know that I did work myself there for a short time. The sommelier, Pilvi, is always keeping a very nice and short wine list mostly consisting organic, biodynamic and natural wines. Ask for it. Latva Bar: Juuri's little sister which is located on the same blog, just a short walking distance away, again serving naturals in the list, as the wine list is made by Pilvi again. Grotesk: Lord Paul Hickman, the sommelier, keeps very interesting selections of wines and beers in his list, as well as naturals. He says, "I do introduce the natural wines to my customers saying that " I have an interesting wine, have a try", and then I pour a taste. If they like it, after that I tell about the natural wine philosophy. Also I have always sold Dagueneau, which is always more on the natural side." Go and ask for more. They also have a "friendly" pricing method, read about that here more. 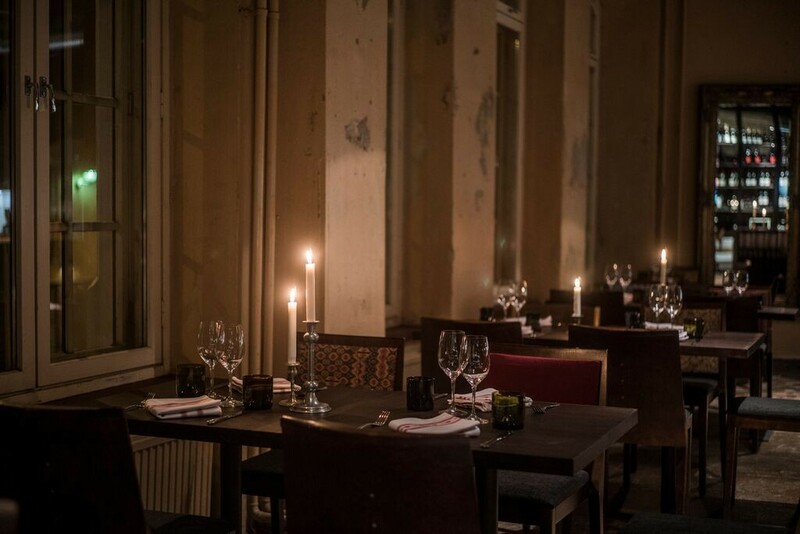 Sinne: One of the longest wine lists in the town, Sinne is serving "classical preparations of Nordic ingredients" as the wine director Lauri Vainio describes. Lauri and Edmund as a wine duo, they have almost 20 different labels of natural wines and also recently added a PetNat title in their wine list. The wines of the natural winery COS from Sicily are must to try. Also every weekend PetNat wines served by glass. Pastis: Otto Sovelius, my dear friend and the sommelier in Pastis, always keeps few bottles of natural wines in the list, for the guests who might ask for it or might ask something different and unusual. This is not the end. I will write another post as a Part 2 and there will be some more restaurants in it. To be continued. Niki says " The naturalists are now divided into two, those who add slight amount of sulfites and those who are totally against of it." But he also adds: "Sulfites or not, to me good and enjoyable wine is the one easy and tasty which I drink and I wake up next morning with no headache." UPDATE: My words on sulfites can be understood as "It is such a bad thing", so I need to elaborate that part little bit. Sulfite is a natural product of fermentation and found in every wine naturally, here what is in question is the extra sulfite that is added into the wine, which is many times told to be nothing to worry about. It is also not a poison in wine because the amount of the sulfite added into the wine is under the threshold that might give any health effect to a human. Sulfites improve the longevity of wines. it stops a possible fermentation by the alive yeast in the bottle, if any yeast left. What I wonder, is that it might bound also fruit and other aromas too. So I don't really mean natural wine is the best, I don't really mean it is more healthy than any other wine, I don't really mean sulfites are such a bad thing. Thats the most interesting to me about natural wines. The oxidized notes and the body of natural wines first of all break down the color codes; "red wine with red meat/white wine with fish." I like color codes and they work well but I love the wines that are easily breaking down the color codes, I even did a wine workshop on that, but I am not the only one thinking of it. 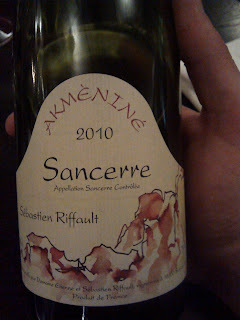 One evening I asked Paul Hickman of Grotesk to pair a white wine with their Picanha, the very soft and tasty meat dish in their menu, he just brought a natural white to the table, Sebastien Riffault, Akmenine, Sancerre 2010. The pairing was just perfection. So, after all, we are talking about wine. It is a product that might be prestigious to some, or can be a very simple thing, told by one of the most famous wine critics, Jancis Robinson, "Wine is a peasant activity." As simple as that. It is an agriculture product. It is the beverage of the Mediterranean publics for hundreds of years that was spread around the world. Why to puzzle that much about it? Maybe just, it is fun to do so? I would like to thank Kristian Blanco Sequeiros very much of the big help he gave me while I was working on this post, I had the chance to taste many natural wines with him while having a long and lovely conversation. I'm going to Helsinki next month and I was looking for those kind of restaurants where they serve natural wines. You did a really good job again. Those places seem really great. Thanks! Now I have a few new stops for my next trip.